Entrepreneur Pepa Bascon moved to Cologne Germany twenty years ago, instilling her Spanish roots to the city by bringing the best products from her native country which she sold in a small store in the center of Cologne. With huge success, Pepa has expanded into a much larger space which plays host to heavy Mediterranean modern design which suits well with the products distributed in the shelves. 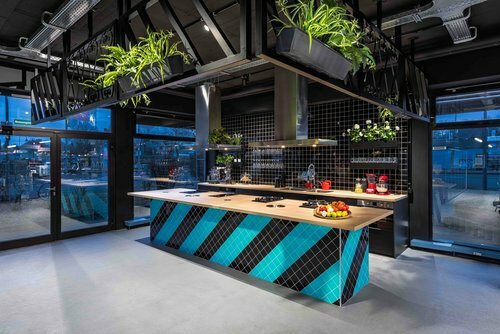 Across the 500m space, shoppers are presented with food-enriching experiences, including a demonstration space where food can be live prepared in a 'test-kitchen-esque' space. There is also a gourmet food stand in the space which is used to showcase unique and unknown products.